A Democratic Club is an official association of local Democrats whose primary focus is to bring local Democrats together to discuss, debate, and work to promote Democratic candidates and legislation in their city, town, neighborhood, and/or region. They can be geographically based, in which case they focus on a broad spectrum of issues in the communities they serve (service area) or they can be issues based or affinity based, with a focus on one or more topics, such as environmental matters or gay rights. Some clubs also have a strong social component. In addition to regular Democratic Clubs, special clubs exist for other groups such as younger people. Young Democrat Clubs limit membership to people 35 years of age and under. College Democrat Clubs limit membership to faculty and students of a particular college or university. In California, all Democratic Clubs are chartered by the Democratic County Central Committee in the county in which they reside. Each County Central Committee has different chartering requirements, but they generally boil down to acceptable bylaws, a membership of at least 20, and payment of a small fee. Chartering enables an association to call itself a Democratic Club, and use the word “Democrat,” which is a trademark of the Democratic Party, in its name. To improve the coordination of the California Democratic Club system, in 1952, Alan Cranston and a number of other Democratic leaders created the California Democratic Council (CDC). 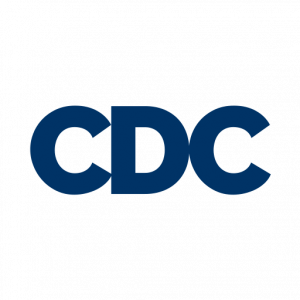 The CDC is the statewide association of Democratic Clubs and County Central Committees. All chartered Democratic Clubs and County Central Committees are automatically Associate Affiliates of the CDC. Many county central committees and clubs choose to become full CDC affiliates. So you want to start a club? Let us help you by sharing both our expertise and resources. Identify and contact local Democrats from your community who you think may be interested in helping you start a club. Find the bylaws for your Democratic County Central Committee on their website or by contacting a member of the board. Check for chartering requirements and draft your bylaws. Sample bylaws can be found below. Schedule a formal organizing meeting for the new Club. A restaurant or someone’s home works well for the first meeting. The first official meeting should be very well prepared, and should start on time and end on time. Print the first agenda in advance, and include a) adoption of geographic focus, b) adoption of bylaws, c) the officer election process, and d) choosing next meetings. At the first meeting, after introductions, let the group know one of the first challenges for any Democratic club is to agree on the geographic focus. Pass a vote on your focus as the first item. Sometimes it makes sense for a municipal club to focus on organizing Democrats within a city’s borders. Other times, especially for small towns under 2,000 residents, it may make sense to partner with Democrats in nearby towns to establish a local club. CDC believes a viable local club should schedule at least nine general meetings a year, and should aim for a minimum club membership of three percent (3%) of the registered Democrats in its boundaries. Distribute draft bylaws to the new club members if you did not distribute them in your meeting announcement. After adoption of by-laws, the next order of business is the election process. Be sure to schedule your next meetings before you adjourn. Congratulations, you’re now a club! Now that you’re a club, the next step will be to request a charter from your Democratic County Central Committee. The benefits to chartering vary by club but usually include voice and vote on the Committee, ability to present resolutions and funding requests, and access to other resources. Contact the board of your Democratic County Central Committee to request an approval for your charter. After your charter has been approved, you will want to request an EIN number from the IRS and file with the Secretary of State. This will give you the ability to open a bank account for the club, fundraise, and carry out expenditures while following the law. Lastly, be sure to complete your affiliation with us to gain access to the many benefits we offer, including website-hosting services, training, media lists, and more! Check out the affiliation section of our website for more information.